Treats acne breakouts, reduces pimples, whiteheads, and blackheads within 24 hours. Dissolves pore-clogging oils without over-drying your skin to effectively reduce future breakouts. United States Pharmacopeia (USP) grade Benzoyl Peroxide 5% penetrates deep within the pores, eliminating current breakouts and preventing new ones. 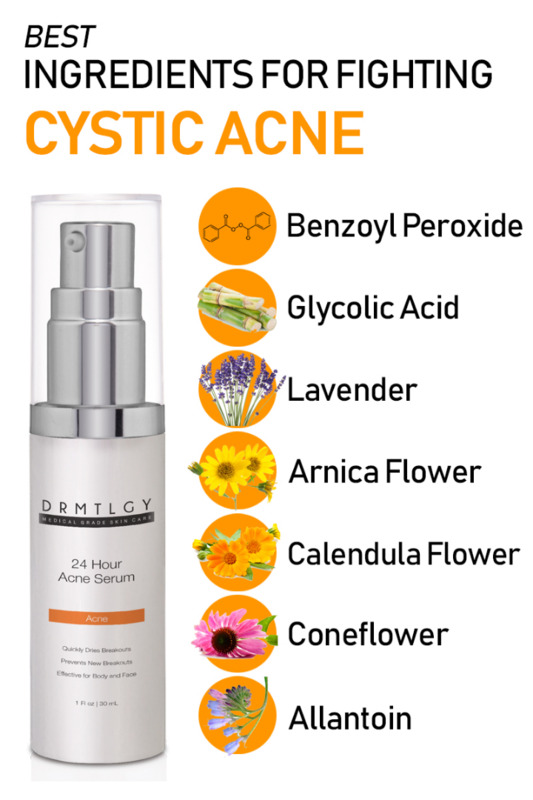 Proven as one of the most effective acne-fighting ingredients. Glycolic Acid in the form of sugar cane gently exfoliates to increase cellular turnover and remove cellular debris. This allows for a clearer complexion with a reduction in scarring.